Volunteer to lead a team a three and apply for a two-week training program hosted by Apple, Inc. 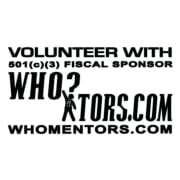 Learn from WHOmentors.com, Inc. how to create an iOS app for a 501(c)(3) organization. 54 More opportunities with WHOmentors.com, Inc.